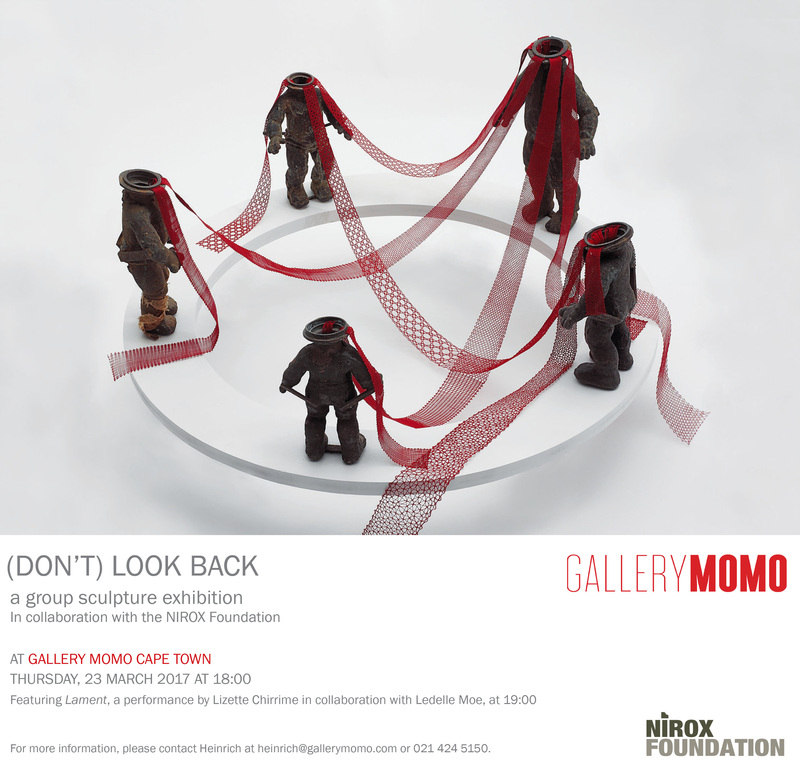 Gallery MOMO Cape Town is proud to present (DON’T) LOOK BACK – a group sculpture exhibition, a collaboration between the NIROX Foundation and Gallery MOMO. The exhibition continues NIROX’s commitment to fostering the arts, particularly the development of three-dimensional work, and the artists across the country who have dedicated themselves to their discipline. (DON’T) LOOK BACK explores the practice of constructing form through the medium of sculpture. Featuring work by seventeen sculptors affiliated to NIROX, the exhibition offers a sampling of recent South African sculpture. Video still from 'Outpost 4' by Johan Thom included in the exhibition. Johan Thom, Ismail Farouk, Lawrence Lemaoana, Dorothee Kreutzfeldt, Abrie Fourie, Happy Dhlame and Titus Matiyane. 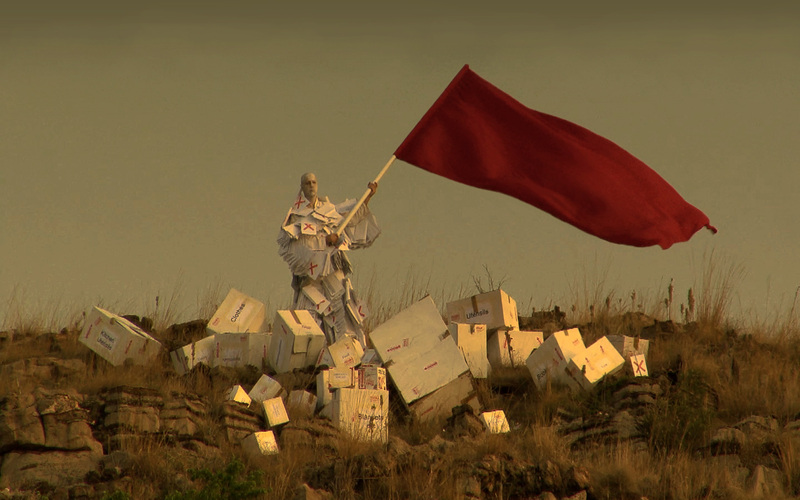 Alongside the individual artists, an exhibition showcasing relevant work from the MAP collection will be arranged, including works by Maja Marx, Gordon Froud, Andrew Tshabangu, Sean Slemon, Jacques Coetzer, and Shane de Lange. The MAP collection will be accompanied by an exhibition of projects by the Trinity Session. Both MAP and Trinity Session exhibits will act as platforms framing The Heart of the African City and the selected artists chosen to support the event. Each artist will be included into the MAP book for the African Perspectives event, which will become part of the prolific collection of books in the MAP black box collection. African Perspectives is a biannual international event with various programmes and conferences held on the African continent. In 2009 the event will be held at the University of Pretoria in Tshwane, South Africa, and in 2011 in Casablanca, Morocco. The international conference is themed around the African City (re)sourced and the city as resource, and will take place from the 24th to the 28th of September 2009.
communications are ambiguously erasing and solidifying such territories and borders, based on the aforementioned issues. These territories form the basis of a dialogue that attempts to dissect the pluralisms and polarities of a constructed global community.